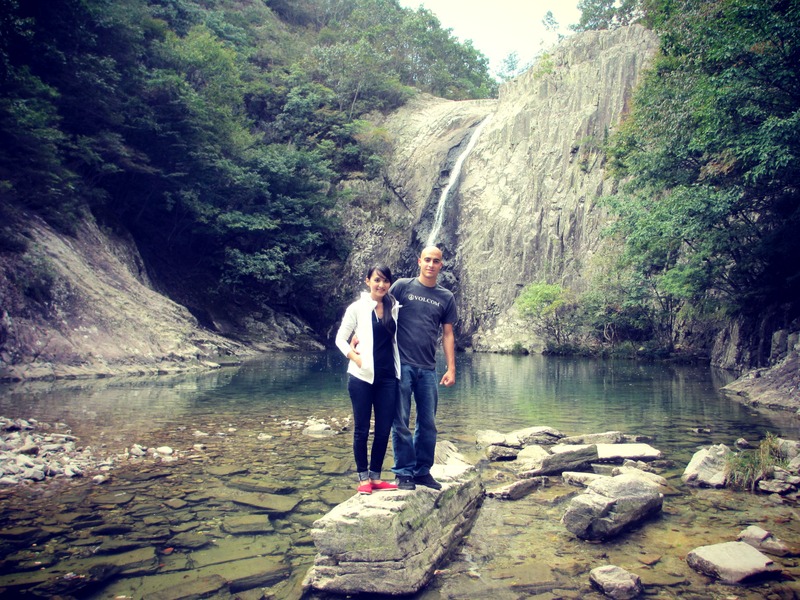 Pyonsan National Park is about an hour and a half south of Gunsan. The park is gorgeous in scenery and is a great hiking spot. From the parking area, it takes about 30 minutes to hike to the Chikso Waterfall. Since we’re in fall now, the water levels are much lower, but it’s still a great sight to see! Afterward, we stopped by the Neso temple. In addition to the traditional prayer halls, we also saw templestay housing. Charming! The last time we were at Byeonsan Beach, we were still able to swim. This time, the winds were strong (as were the waves), and the water much too cool to swim comfortably. We had a good time watching the waves hit and surprise beach walkers. On the bus ready to go! Driving across the Saemangeum Seawall. Colorful boat on the waters off the Saemangeum Seawall. Made it to the park. Now the hike begins! Persimmon trees along the hike. Anyone looking to buy property? This one looks pretty good. One of the many bridges we crossed on the hike. Morning fog, clean air, and a scenery fit for an adventure! This is what we had to hike through! We can see the Chikso Waterfall in the distance! Clint can’t seem to stay away from the creeks. Clear mountain water means a head dip. Waters are lower during the fall, so we were able to get out onto the stones. Oh, you know. Just hanging out on this mountain. The hike back was just as hard as the one there. In front of the Neso Temple stands an ancient tree. Entrance to the Neso Temple. As with other temples, one can’t reach the destination without putting in some work. So another hike we must trek! We counted, this tree is a million years old. A little girl dressed in her hanbok for Chuseok. So cute! Old building inside the temple. The waves were particularly powerful today! Water’s too cold for me, but I’ll get in for a picture. Waves said, “nope!” But it’s Clint to the rescue! Beautiful fall afternoon at Byeonsan Beach. A long, and tiring day; but so much fun!